Wildcats Legend to play 300 Games. When the Wildcats take on the Adelaide 36ers on Thursday, the club will celebrate a major milestone of one of its all-time greats. Jesse Wagstaff joined the Wildcats as a rookie in 2009 and has gone on to become one of the most highly decorated Wildcats of all-time. He won a championship in his first season and was named the NBL’s Rookie of the Year in 2009/10. In 2012 he won another league award, this time the NBL’s Best Sixth Man and was named a member of the All-NBL Third Team. The sharp-shooting power forward then went on to win championships in 2014, 2016 and 2017, making him just one of four Wildcats to win four titles with the club alongside Damian Martin, Shawn Redhage and Ricky Grace. 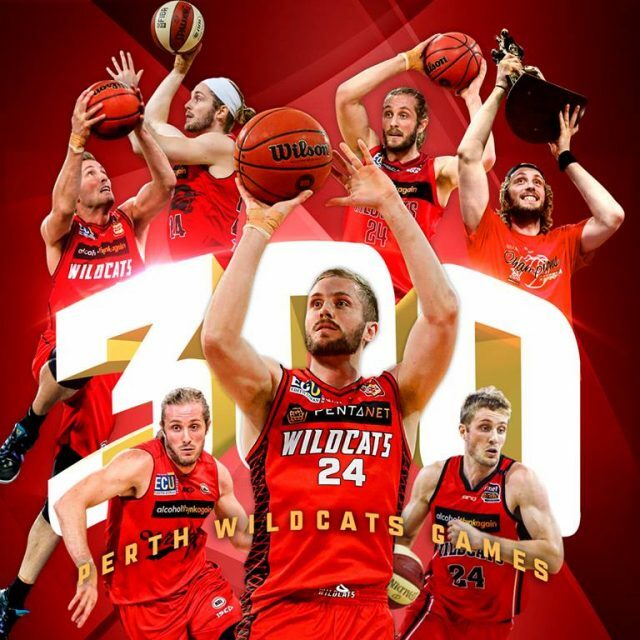 Wagstaff will become the seventh Wildcat to play 300 games for the club on Thursday, and just the fifth to play his first 300 NBL games as a Wildcat. “It’s been a rollercoaster, it’s been fun,” he said. “I didn’t even expect to play basketball, to be honest. When I was growing up and went over to the States I didn’t really think of it as a career at the time, but I was lucky enough to play that first season with the Wildcats and it’s been great ever since. Since entering the league Wagstaff has played more games than any other player, averaging 9.3 points and 3.6 rebounds per game across his decade-long career. His career-high 26 points came in his 200th NBL game in December 2015.